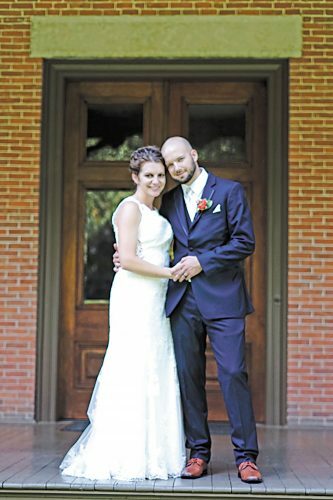 Alaina Ritter and Ryan Weaver were united in marriage at 3:30 p.m. April 29, 2017, at Ohio Memorial Chapel, Tiffin. The Rev. Rose Wilson was the officiant during the double-ring ceremony. A reception followed at Meadowbrook Ballroom, Bascom. Alaina is the daughter of Fred and Sandy Ritter of Tiffin. Ryan is the son of Gary and Teri Weaver of Sycamore. 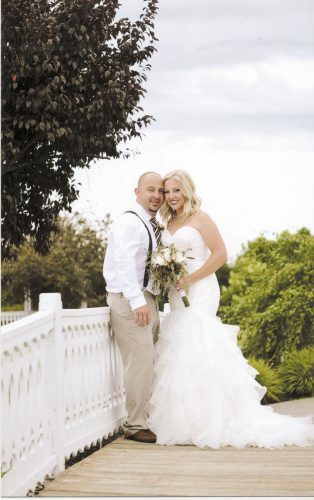 The bride, given in marriage by her father, wore a tulle A-line wedding dress by Jewl with a beaded lace applique bodice and a skirt with faux lace back. She wore a fingertip-length veil and a haute comb embellished with Swarovski crystals. She carried a bouquet of coral and white flowers with greens. 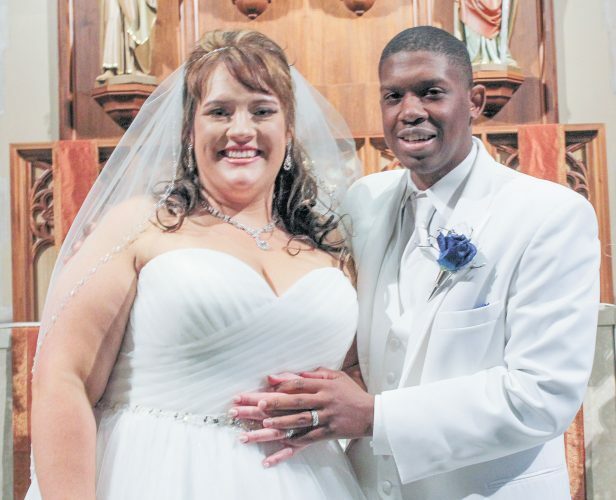 Angie Hull of Burgoon was her friend’s maid of honor. Bridesmaids included Katie Brickner of New Riegel, Ashley Charek of Rocky River, Karis Markel of Columbus, Jessica Monday of McCutchenville and Andrea Flechtner of Tiffin, all friends of the bride, and Krystal Ritter of Tiffin, sister of the bride. The ladies wore coral A-line tulle, floor-length dresses and carried bouquets similar to the bride’s. 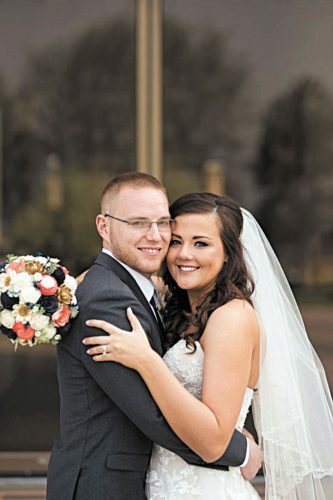 Jeremy Case of Sycamore was his cousin’s best man. Groomsmen included Andy Brickner of New Riegel, Matt Felder of Findlay, Andy Biddle of North Baltimore and Mike Frisch of Tiffin, all friends of the groom, and Aaron Weaver of Tiffin, brother of the groom. The men wore slate blue suits with coral vests and ties. Flower girl was Myla Brickner of New Riegel and ring bearer was Joel Crone of Howard. 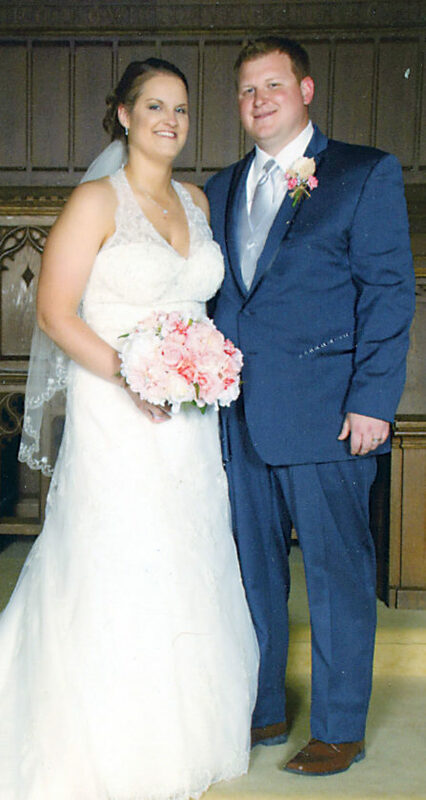 Alaina is a 2004 graduate of Hopewell-Loudon High School and is employed as a supervisor at Fry Foods, Tiffin. Ryan is a 2006 graduate of Mohawk High School and is employed as a sales consultant at Reineke Ford, Findlay. The bride’s mom, sisters and aunt hosted a shower for her in March. The groom’s mom, sister and niece hosted another bridal shower in April. The bridesmaids also hosted a casual party at Reino’s, Tiffin. Rehearsal dinner took place at Savory Sweet, Sycamore. 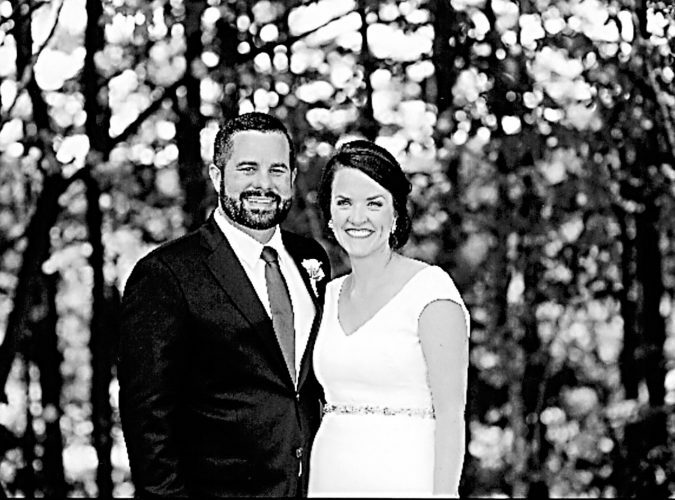 Following a honeymoon trip to Ocho Rios, Jamaica, the newlyweds reside in New Riegel.